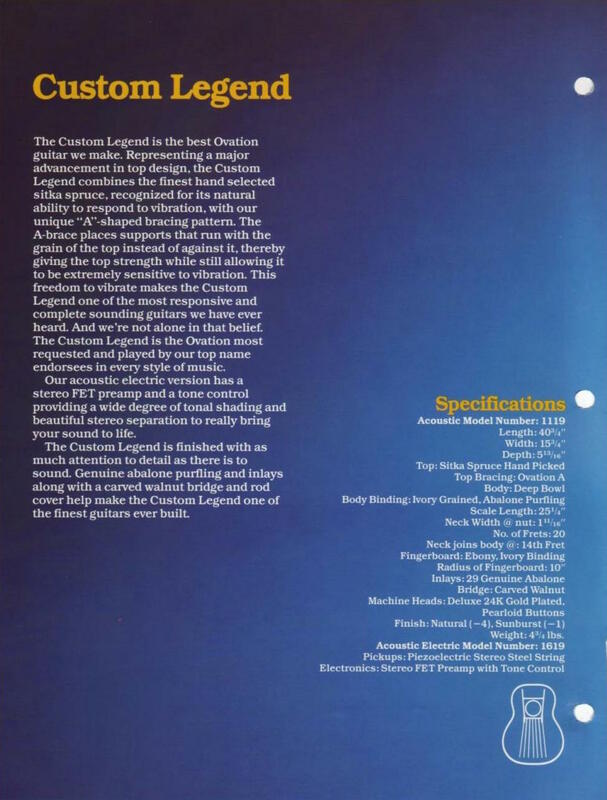 The original Ovation Custom Legend has been a dream since reading the gorgeous 1980 catalog (pages 1 and 2 from Ovationtribute). 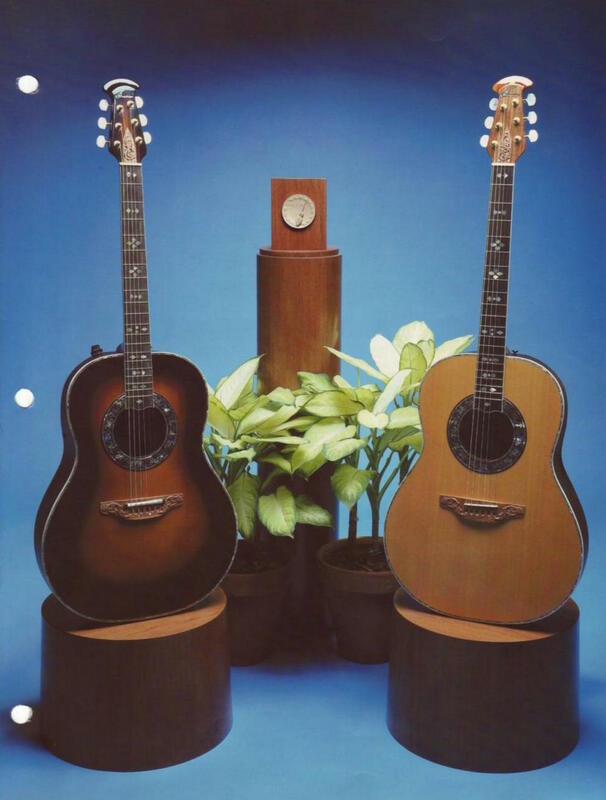 Queen of the Ovation roundholes, the CL is the guitar designed for Linda McCartney who wanted to make a “custom” present to her husband. Also, the 1619 is the guitar brought on the New York stage by Paul Simon for the ultimate concert of the last Century. This is a 1981, one of the last non-Kaman-bar made. Finished in a nice dark sunburst, has the original electronics, the carved bridge and the sweet carved trussrod cover. It’s in near mint condition, in spite of its age. An exquisite guitar that produces the pure original Custom Legend boomy-yet-clear sound. Bought from Guitar Broker in December 2014. Thanks Craig.